Restaurants365 is a holistic solution for restaurants with multiple outlets. This intuitive solution helps the businesses to manage multiple outlets from a single platform effectively. 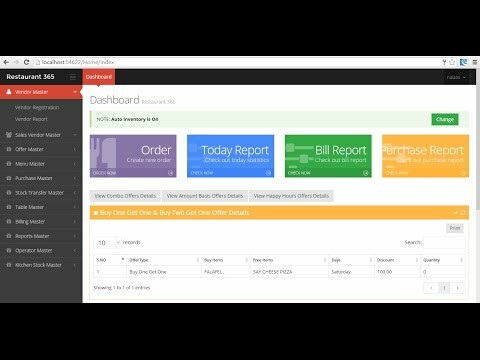 The software is a cost effective automation product that incorporates entire administration & operations of the restaurants. Equipped with password protection, the software is scalable and most secure software. Features such as service tax management, multiple outlet management, stock and pricing management makes this product most desirable.